Hi Corinne, first-time visitor, clicked over from a link on The Bloggin Nurseryman – I used to live in Adelaide, made a couple of gardens there too, now I am trying to make one in the sand of the Gold Coast, so you can betcha I’ll be back. I love the trees, and really need help with things that grow in salt and sand, you have some great reading in here, that will be really useful to me, thank you. Hi Della, I am glad you found useful info here. I indulge myself in the choice of plants I write about but hope that readers will find useful info for their own situation. I haven’t seen you in my RSS feeds lately so I’m guessing you’re enjoying a well earned holiday. I love reading your posts on native plants. 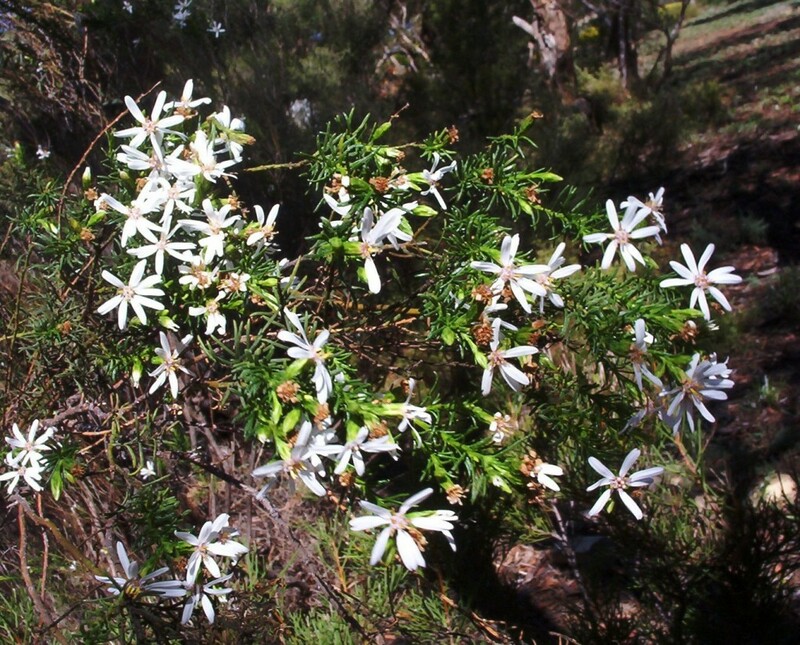 Hi I would like to know if the daisy bush would be any good at Lightning Ridge the summers are extreme and have been known to have severe frost’s. I sthe palnt a quick grower and does it need alot of water? What other plants would be acceptable in this area the wife and myself would like to have something different in the yard than Bogenvilia like every one else has don’t get me wrong they are a lovely flowering plant but can get boring.